ArtAchieve . . . My Review | My Journeys Through Life . . . Herding Cats In New Mexico! My boys and I have been enjoying learning new drawing techniques with lessons from ArtAchieve’s Entire Level I.
I chose the Entire Level 1 because I wanted to participate, and am in no way whatsoever an artist. I am actually enjoying this, though, and we are taking it very slow, as a supplement to other school work. There are five different levels, so you can go to the ArtAchieve website and choose what would be best for you and your children. 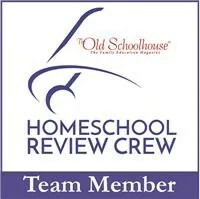 I must confess that in all of the time I have been a member of the Homeschool Review Crew, I have ALWAYS shied away from any of the art lesson products. What made me change my mind and ask for this one, you ask? Well, I will tell you! ArtAchieve is not just lessons in how to draw. The thing that really drew me to this product are the extras. 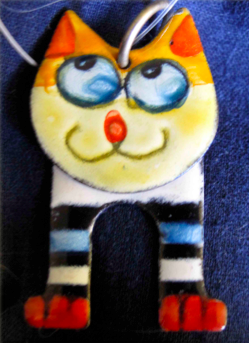 For each and every lesson,, there are suggestions for Cross Curricular Connections, such as these for The Czech Cat, which thus far has been our favorite project. Part of ArtAchieve‘s aim is to create lessons even a child (or someone like me, lol!) could draw and be pleased with. For this project, the inspiration came from a bracelet charm that was found in a Czech Republic jewelry shop. We decided we would rather use colored pencils, however, even though the effect is different. Each lesson gives us a warm up page to learn the various strokes in the picture we will be learning how to draw. The warm up sheet shown here is for the Czech Cat. What you see in the picture blow is a sample picture to help us remember how to put the pieces together (the sample would also be a good coloring page!) The drawing in the foreground is mine, before I began coloring and giving hr some personality. Here are our completed drawings! I really am not, and never have been all that interested in adding “busy work” into my homeschooling day, something that was always part of the box curriculum that we used when my older two boys were little. To be honest? I pretty much left those books separate and then sold them as new. But this? We LOVE ArtAchieve ! And we are enjoying Complete Level 1 so much that I can actually see myself considering moving on with additional levels after this. To read what 99 other Review Crew members have to say about this and other entire levels of ArtAchieve, please click on the banner below!